Windy day? 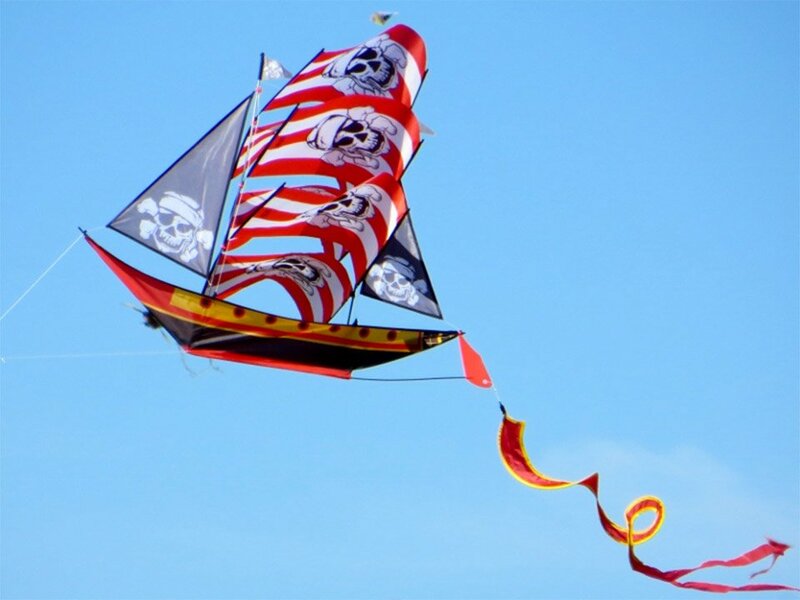 While you could set sail on the high seas for adventure, this easy-to-fly 3-dimensional pirate ship kite lets you go sailing without ever leaving the beach. 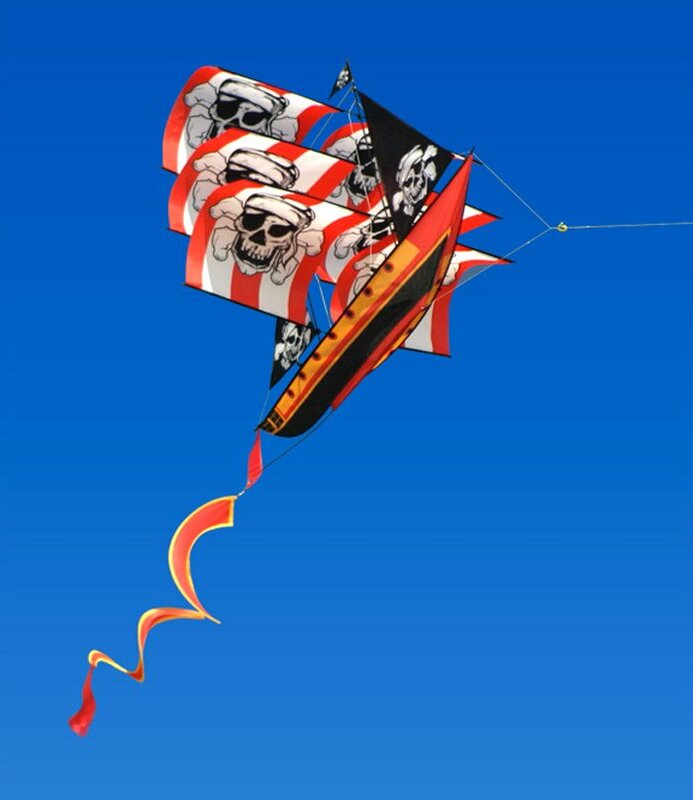 Check them out on video at Vat19.